Not a very surprising newsflash that I am huge fan of flickr and the flickr team. Not only am I a long time passionate user but I also often use the site as an example of how to 'get it right' from a customer experience and marketing perspective. With flickr, the customer always comes first. No banner ads cluttering the flickr site, instead they are looking for more innovative approaches to monetizing the site. Last week flickr launched their camera finder - and not a moment too soon - as I just happen to be in the market for a new digital SLR. Seeing which camera my flickr buddies use makes a lot of sense to me. It is not my only decision lever - but it is a great trusted starting point. As for future sponsorship opportunities, I can think of a ton [ping me Stewart..;] that surround the world of photography and are customer driven. Smartly - flickr is putting a toe in the water. I hope they test community response and set up some additional useful efforts. I have always been surprised that there have not been more companies who have realized that the passionate community of flickr users is a great place to connect authentically with customers. There are rules to this connection - but it is such low hanging fruit - for the right company with the right attitude who plays by the community rules. Thanks to Pete for the link. Over on Podtech, Jennifer Jones has a great interview with Kevin Anderson the new 'blogging editor' for Guardian Unlimited and co-blogger with my buddy Suw Charman on Corante. He points out smartly that a writer who is willing to engage with his audience is more valuable than a celebrity name that is a passive author. As someone in the trenches of "new media", he articulates the changes he has been going through with his staff and how blogging and social media has changed his approach to media and news. A worthy 15 minutes for anyone living at this intersection. He tells Jennifer Jones how "interactivity trumps celebrity" when trying to build a blog. It's more important to write and build community, says Anderson, who calls the Guardian the most forward-thinking newspaper in the world. The traditional media have already changed as a result of blogging. Anderson is a great person to talk to about where it's going next. A worthy 15 minutes for anyone living at the intersection of blogging, social software and 'big' media. JP Rangaswami guest blogging at the The Daily Telegraph has a beautiful piece today on "The Economics of the Customer". It makes you want to go out and hug a technologist. One is to provide the customer a better experience, the freedom to select what he wants, a differentiation based on service quality against a backdrop of abundance. The second is to create artificial scarcities around the things that are abundant, create new inconveniences for the customer, new lock-ins, new irritants. Irritants like Region Coding on DVDs. Lock-ins like we see in digital music. For the last thirty years, too many of us in IT have focussed on creating these artificial scarcities, often without even knowing it. First we paid to bury the data in vendor stacks, then we paid to try and dig it out. We've been doing this for years. And we're in danger of doing it again. Time to focus on ways of delivering service where the customer wants, when the customer wants, how the customer wants. Time to focus on open platforms, open protocols, open software, open ways of doing business. That's what the economics of abundance is really about. Making money because of what you do, and not with what you do. Having customers who stay with you because they want to, not because they have to. Doc and Hugh pulled the above quote, bolding the phrases "what" and "with" - emphasizing the powerful shift and opportunity we have today in the alignment of abundance and economics. I wanted to also point out the "want" and "have" aspects of customer choice. I've written often on the importance of focusing on the "customer" and refer to this as the "Revenge of the Whos" (yes, those cute little guys who were buddies with Horton). You may recall that the Whos asked Horton to protect them and that Horton not only protected them but also encouraged them to protect themselves by banding together - so all the little Whos in Who-ville banded together and shouted in unison "we are here, we are here". Well, the Whos are realizing their power and the Technologists can play a role as Horton. It has take longer than this impatient gal would have liked, but the power of the individual and the customer to impart change and choice is now stronger than ever. Customer's have a choice and the power to exercise it via their voices and their wallets. 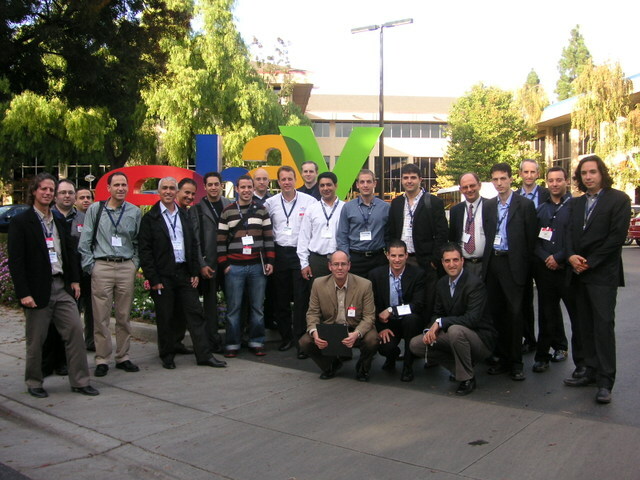 It is in everyone's interest to provide customers with abundance of experience, service and quality. You won't be sorry. Doc/Hugh - Thanks for the pointer. So, the new IAB numbers are out and Om and Jason are debating the future of banner ads. I say - die banner ad die. They are a lousy extension of 'spray and pray' ad models from TV and Print. Granted they are more efficient, but they are still incredibly lacking in meaningful connection (or engagement if you prefer a buzzword). Banner ads as the central vehicle will most likely die an excruciatingly slow painful death. For now, they have a place in branding and special promotions and events – especially if they are entertaining and fun. But building an entire sustainable business model on them is just plain stupid. Yes - I live in an idealistic future universe where customer and company have a meaningful exchange of information and contact. With all the incredible innovation going on today, it saddens me that new businesses are STILL focused on the old models. Do I have all the answers? No. What I do know is that the Live Web changes everything and we CAN do better than the "last time". We can't settle for a universe built only on old ad models. The exciting opportunities are coming. They will arrive in the not too distant future, and then the customer will actually have a certain (I am a realistic idealist) amount of control over their intent and engagement and participation (and their data). It is still early in this arena. The VRM (Vendor Relationship Management) work Doc is doing with The Beekman Center, the potential of some of the Semantic web initiatives, Identity standards, along with some other cool whispers I have heard, demonstrate that something interesting is definitely afoot. These initiatives are not replacements they are augmentations. I agree with Ross that nothing will ever replace multi-layered human organic discovery, and banner ads will continue to exist, but we can be more efficient and smarter about how we interact and measure both online and offline activity (and integrate the two). So for now, we will live with the old models as huge ad agencies, the big media players and the current technology infrastructure in place continues to plod along. But I see the future. I may be a pie-in the sky idealist - today - but the times they are a changing. 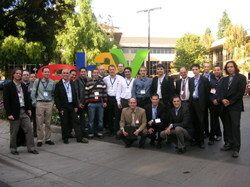 The IsraelWebTour kicked off the craziness that is Web2Con conference week this morning, with meetings at eBay and Adobe. Great talks, a great Skype conference call with Alex Kazim, President of Skype, and some great fun. If you are in town, I hope to see you at either the Israel WebTour Showcase Tuesday morning, the Web 2 conference (somewhere in the crowded masses), or at either The Web2point2 Release Party on Thursday night (co-hosted with the IsraelTour) or the actual Web2point2 unconference iself.